I’m so excited about today’s post, which is by author Nikki Barthelmess! You do not want to miss her debut novel, The Quiet You Carry, which releases next week! Now on to what “write what you know” means to Nikki + some writing tips. When I tell people that the main character in my debut novel goes into foster care, often the first question I get is, “Is the book based on your life?” and my answer is always “No, no, no!” (As a novelist, I’m a fiction writer, after all.) After some deep breathing, I explain that though this story isn’t based on my life or the life of anyone I know, my novel is partially inspired by circumstances I’ve experienced or have seen in the lives of others. My time in foster care did influence some of the choices I made in the narrative, but the plot to The Quiet You Carry wasn’t taken from my life. My objections aside, though, I understand why people might think my main character Victoria is based on me. In a sense, everything I write comes from inside me. These characters, in one way or another, bring to life my deepest fears, greatest desires, and other strong emotions I’ve felt. My main character Victoria isn’t me, I often tell people, but her emo­tions are real. We writers often hear the adage “Write what you know.” To me, writing what you know means taking the things that matter most to you, and that you have some experience with, and shaping them into a story. Experience can come from research, sure. But it’s important to ask yourself, at least in my opinion, why you should tell the story you’re writing. Writing from a place of emotional truth makes your writing authentic, better (in my opinion), and less likely (though not fail-proof) to hurt marginalized groups due to poor representation. If you’re writing about what you are passionate about, then it only makes sense that you have a personal connection to it, even in a small way. If you’re writing for young adults, as I do, ask yourself what kind of book you needed the most when you were a teenager. Were there books on the shelf that spoke to that desire? Are there now? What could you add to what’s already out there? What kinds of stories do you find yourself drawn to now? Ask yourself why. What is it about these narratives that speak to you? Make a list of some of the most meaningful events in your life, the good and the bad. Look at them analytically. Do any themes arise that you might consider writing about? What do you really “know” about? Are you an expert or proficient in any topic? How could you use that in a story? Those are just a few ideas to help you get started using real life to inspire your writing. As you work on your stories, inevitably they will end up taking on a life of their own and changing from what you started with. Which is great fun, if you ask me. So now I’ve told you what writing what you know means to me, but I’m willing to bet it’s not the same for everyone. What does “Write what you know” mean to you? The book sounds like quite a fraught family thriller! I enjoyed this post, especially when the author said the best writing happens when authors are emotionally connected with their subject/story and that this makes their writing authentic. 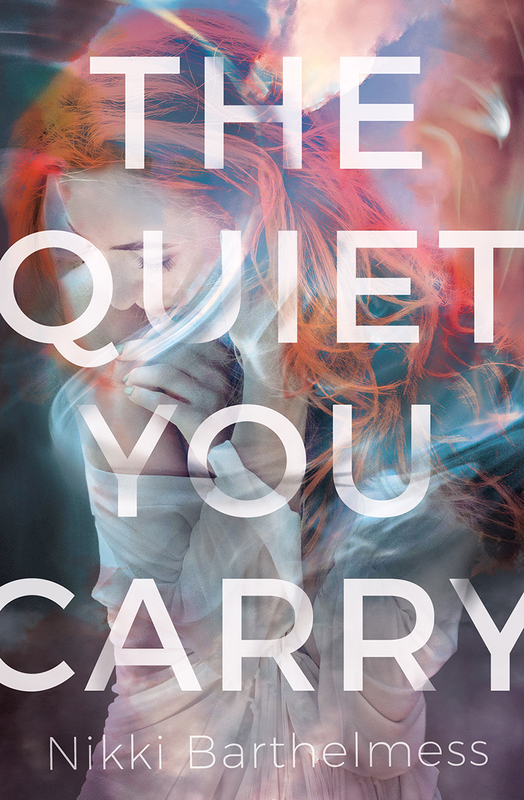 The Quiet You Carry is on my TBR for sure and I’m anxiously awaiting it’s release on Tuesday, especially after reading Nikki’s guest post. Her advice of asking yourself what kind of book you needed the most when you were a teenager is amazing! I’ve had a book idea and characters harassing me for the past few months, but haven’t known where to start. That one piece of advice may have just been the jumping off point I needed!